If there is any goblin figure adjacent to any goblin ranger, add additional dice to your defense for every adjacent goblin. Goblin Rangers can leave any attack from any hero figure army card. You may leave the attack and move up to 6 spaces. This special power comes into affect after defense is rolled. 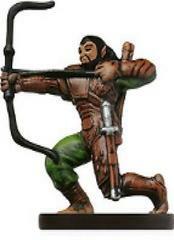 As Small Utgar figures, the Goblin Rangers may benefit from Torin's EVIL EYE PROTECTION Defensive Ability. Because the Goblin Rangers are small Goblin figures, a Horned Skull Brute may use EXPENDABLE RABBLE to sacrifice a Goblin Ranger in order to ignore a wound. Last edited by Heroscaper 101; April 30th, 2018 at 02:22 PM. 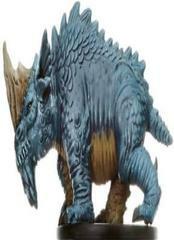 After a Thunder Blight Rhino does a normal attack on any small or medium figure they may be be affected by knock back. If the small or medium figure is received a wound, they are knocked back by 3 spaces. If an opponent's figure is within 2 spaces of a Thunder Blight Rhino, and its base is no more than 3 levels above that Thunder Blight Rhino's height or 3 levels below that Thunder Blight Rhino's base, that Thunder Blight Rhino may add 1 to its Range when attacking that figure. When rolling defense dice against a Special Attack, any Thunder Blight Rhino always adds 2 automatic shields to whatever is rolled. The figure used for this unit is a Bluespawn Stormlizard Blood War from the D&D set. Its model number and name Bluespawn Stormlizard Blood War #30. The figures used for this squad are Ogres from the D&D Pathfinder Set. 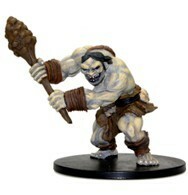 The model is Ogre Brute Rise of the Runelords, Ogre Hero & Monsters, and Ogre Rise of the Runelords. Last edited by Heroscaper 101; September 17th, 2018 at 09:15 PM. When a Ogre Champion is attacked from a non-adjacent figure, you may add additional die to your defense for every Ogre figure you control. If a Ogre Champion is attacking any hero figure, you may attack 2 additional times but after the first hit the attacks are 1 die less. When starting a turn on sand you will get 3 additional movement. If you attack any figure that is on a sand tile, add 3 to your attack roll. 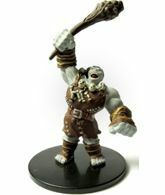 The figure used for this unit is a Ogrekin from the D&D Pathfinder Set. The model is Ogrekin Rise of the Runelords. Last edited by Heroscaper 101; May 20th, 2018 at 06:17 PM. After attacking with Skalmad, roll the 20-sided die. If you roll a 16 or higher, you may attack again with Skalmad. If Skalmad is attacking a small, medium or large figure, add 2 dice to Skalmad's attack. After taking a turn with Skalmad, remove 1 wound marker from Skalmad's army card. As a unique hero that follows Utgar, Skalmad may benefit from Ornak’s RED FLAG OF FURY activation synergy. 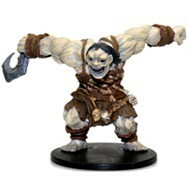 The figure used for this unit is a Troll from the D&D set. 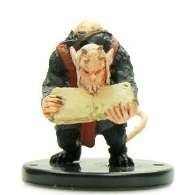 The name and model number is Skalmad, the Troll King Dangerous Delve #34. Last edited by Heroscaper 101; September 12th, 2018 at 05:18 PM. Awesome looking model dude, I like the abilities that go along with it the potential for a second attack is always good to have on a monster, and the bonding just makes him that much more deadly. When the Ogre Brutes attack, they may attack one additional time. 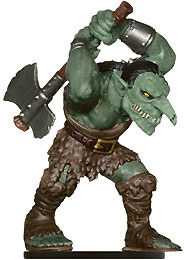 When any Ogre Brute attacks a small or medium figure, you may add 2 die to your attack. Before taking a turn with Ogre Brutes, you may first take a turn with any Ogre hero you control. Love the entire idea behind an Ogre squad. Not sure these aren't too powerful though...3 attacks of 6 doubled plus another ogre attacking seems to be way overpowered especially for 100 points. From what I can see on this, the point cost would have to be well over 200 (possibly over 300). If you want to keep them to about 100 (which IMHO would be best) you may want to consider only keeping the "Bigger Than You" ability. One of the more effective ideas I've seen in a long time. Keep going with the customs, these are good but watch out for making them too powerful. Quick question...would these be double based figures or large single based? Just when you thought it was all right, someone made it alright. Good trades with - Porkins / xraine69 / mac122 (x2) / frylock / Ztimster (x2) and probably others I forgotten to mention...sorry. Lost Tactician rolls an additional die when attacking or defending against beast and/or predator figures. When rolling defense dice against a normal or special attack from any large or huge figure, Lost Tactician always adds 1 automatic shield to whatever is rolled. Lost Tactician is never attacked when leaving an engagement. Q. TACTICAL ADVANTAGE with a Zero Defense? If the Lost Tactician Defense is lowered to Zero by any Power such as, do they still add 1 automatic shield for WARFORGED RESOLVE? A. Yes. Unless a figure is expressly denied a Defense roll by an ability like Me-Burq-Sa's PARALYZING STARE 16, a Defense of Zero still triggers any ability that activates "when rolling Defense." As a Valkrill follower with a Range of 1, Lost Tactician may benefit from the Skull Demon's VALKRILL ATTACK AURA 1 ability. 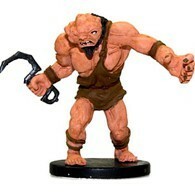 The figure used for this unit is a Abrikandilu Demon from the D&D Pathfinder Set. The name is Abrikandilu Demon Wrath of the Righteous. Last edited by Heroscaper 101; August 9th, 2018 at 08:01 AM. You may target a hero figure with this special power for some extra damage. If you cause a wound, you may inflict poison. Every poisoned figure rolls 2 less shields against non-adjacent attacks and 1 less shield against adjacent attacks. The only cure for this poison is water. 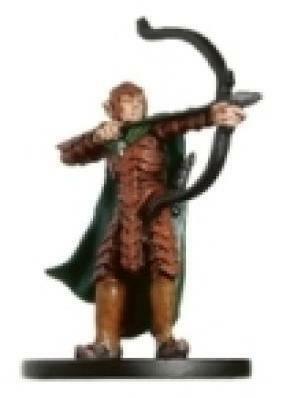 Before taking a turn with Elite Emerald Archers, you may first take a turn with any elf hero you control. The figures used for this squad are Elves from the D&D Set. 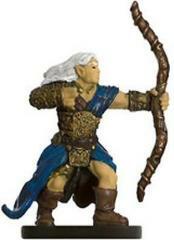 The model is Bralani Dungeons of Dread #060, Cliffwalk Archer Desert of Desolation # 015, and Elf Warrior Aberations #016. Last edited by Heroscaper 101; April 30th, 2018 at 02:26 PM. A few notes. Common Heros, since you can have multiple of them, but are not required to have multiple cards, can't have more than 1 life. You could fix this by making them Uncommon. For a card that bonds with everything Utgar and Valkrill, 25 points is extremely low, you should probably bump those up a fair amount. 60 at the least just for the bonding, and 3 lives. Tactical retreat suffers from a problem I like to call the Isamu Problem. Isamu is great unit, but his "Vanish" ability which functions similarly to your Tactician here can keep him alive forever if luck is on your side. Vanish requires a 9 or higher, and there have been games where it has never rolled less than that. A roll of 5 or higher is much much easier to roll, because of this if your opponent only has large or huge figures left on their team, the tactician will be an almost immortal demigod, that will almost never take damage from anything. I would increase the roll to at least a 9, which is what Vanish sits at. Unfair Tactics is the most powerful aura I have seen. A range of 12, and a +2, to not just defense like Realin, but also to Attack. A figure with just 1 life, and this ability alone, could easily be priced at 100 points, or even more. I would lower it to just +1 attack and Defense. Even with that debuff, giving every small and medium unit with a range of 12 is very good, and the points should go up to reflect that. The idea isn't bad, but you need to price it a lot higher than 25. You may target any figure in clear sight of Dread Liche, you can cast a sphere of death at the target for damage. The chosen figure roll 3 less defense dice against Ray of Death Special Attack. When you cause any damage with this special power the target takes 1 wound damage because the target is living. Ray of Death special never affects Constructs, Undead, Soulborgs, and Destructible Objects. When the Dread Liche rolls defense dice against a special attack, one shield will block all damage. 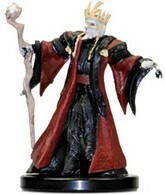 The figure used for this unit is Azaven Rise of the Runelords from the D&D Pathfinder Set. I’m sorry, but you’re current rendition of the Liche is frankly ridiculous. This is the God Mode version and should be worth about 600pts. You need to water it down to a normal, every day liche that has some cool powers.